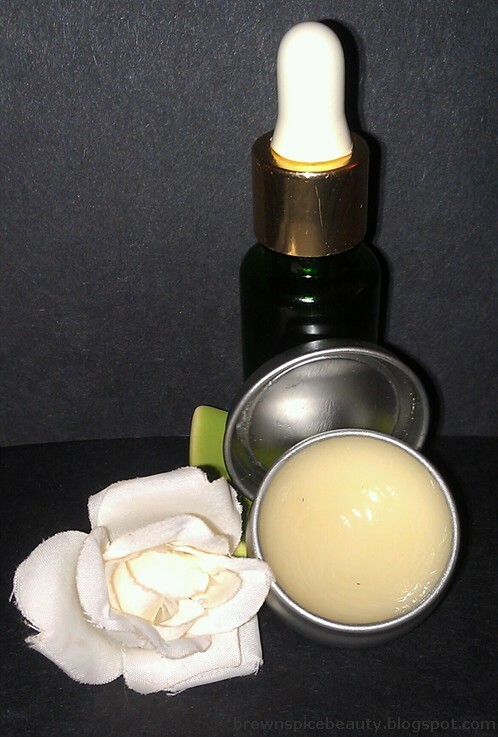 BrownSpiceBeauty: DIY - Make Your Own Lip Balm! DIY - Make Your Own Lip Balm! Hey Brown Spice Beauties! It is time for our monthly DIY Eco Friendly Makeup Tip. This one comes courtesy of Beautylish.com. This is a great site. They always provide lots of Tips & Tricks for us makeup lovers. Do you have a bunch of near-empty lipsticks that you don't know what to do with? Don't throw them out! You can turn those favorite shades into tinted lip balms. Customize your color, flavor and scent, and even recycle old tins and tubs to give the balm a personal special touch. Just follow these four simple steps. Choose a container or tin for your lip balm. You can use an empty Altoids tin or anything that will hold the balm. Just be sure to wash it in hot soapy water and let it dry completely. Prepare your ingredients. The general rule is two parts oil to one part beeswax. You can use any oil that you like. Try adding almond oil for added moisture or peppermint oil for a fresh scent. Melt the beeswax in a double boiler, ensuring that the top bowl does not touch the water. Once the wax melted, remove from the heat. Add your oils and as much lipstick as you want (the more lipstick you use, the darker the color will be). Immediately pour the hot mixture into the desired tin. Let it cool overnight before using it on your lips. We Love this Tip. I mean, how many times have you gotten down to the last bit of lipstick in the tube and just threw it away? Now, you have a new way to get the most out of that lipstick and what girl doesn't love lip balm? Plus, using all natural ingredients and re-using old containers makes this a very Eco Friendly option. If you have tried this or decide to try it, leave a comment and let us know what you think.